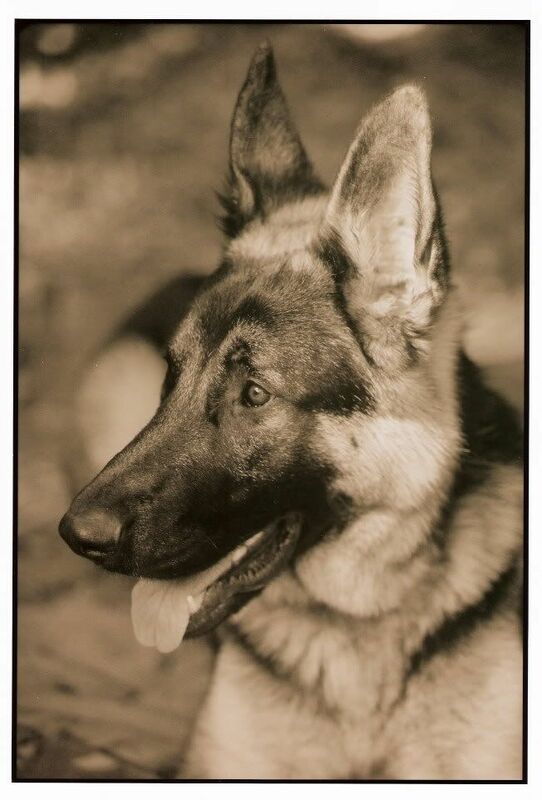 Suzanne Mayes, who I've known from when she worked at the Paul Kohner Agency and I worked at the Shapiro-Lichtman Agency, hired me to shoot her sister Michele's German Shepard, Shogun, as a surprise for her birthday. We planned the shoot a couple of months before her birthday and Michele absolutely loved the framed photos of her beloved dog. Suzanne was smart enough to order some wallet size photos and Michele takes them out of her wallet constantly to brag. This one was the best photo of Shogun.